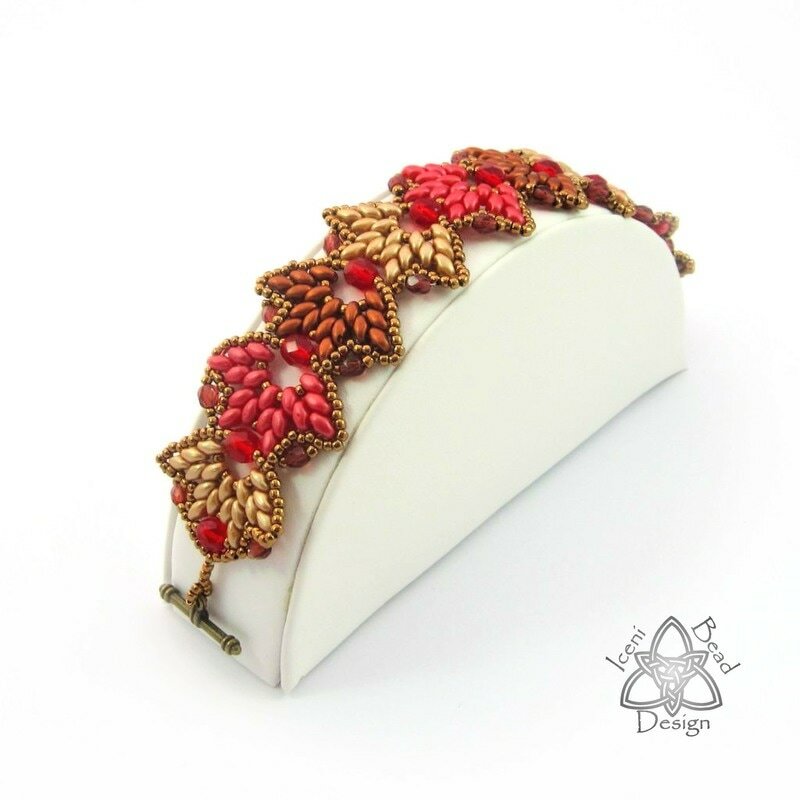 Inspired by a walk in my local woods, I have tried to emulate the leaves both in spring and autumn with this gorgeous bracelet. 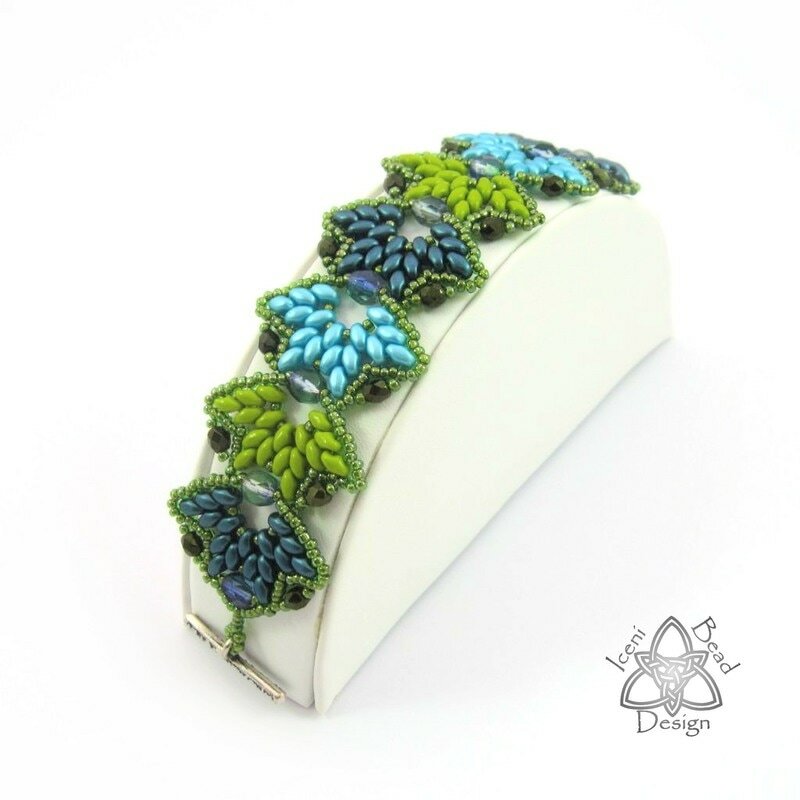 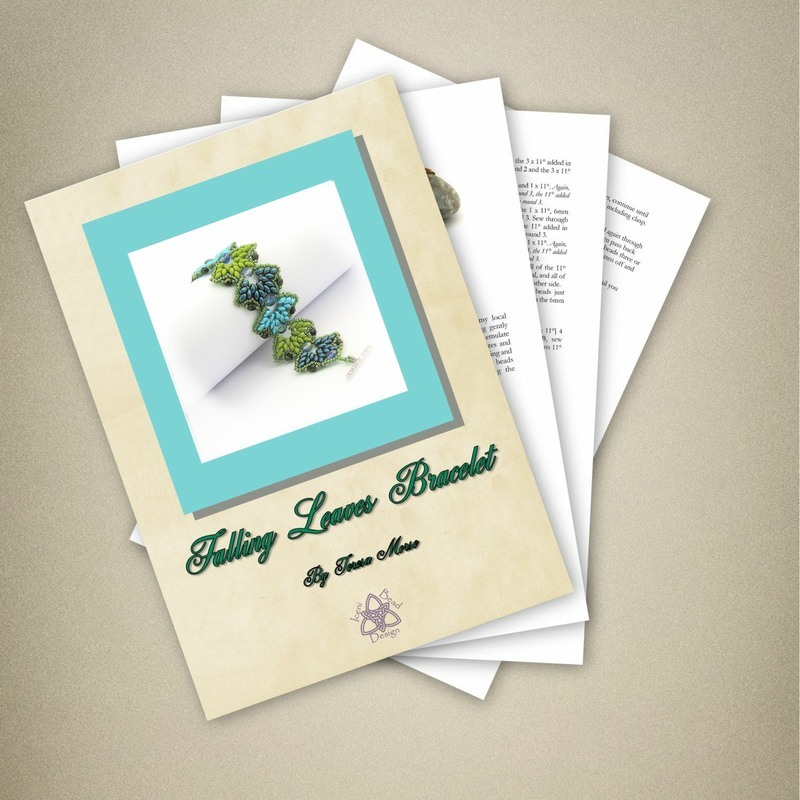 The leaf shapes cascading into one another, it can be made in one, two or three colours. 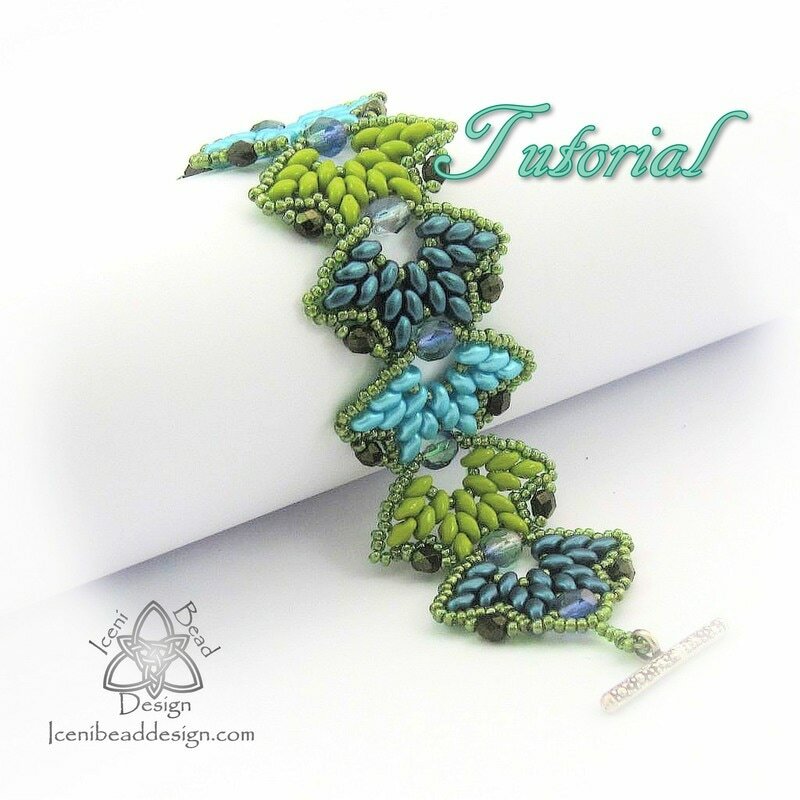 This tutorial shows how to use Super Duo or Twin Beads with seed beads and gorgeous fire polish crystal beads, using clear diagrams and step-by-step instructions.